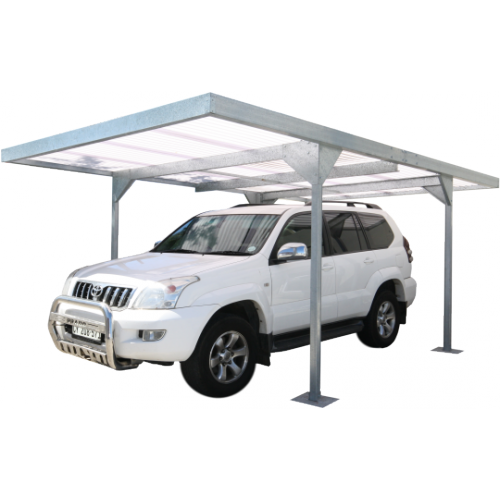 Skillion Roof carports are constructed of heavy duty galvanised steel framing with solid RHS steel posts. The majority of components are pre-punched. All fixings, including the concrete slab attachments are standard. Engineers plans included for submission to local authority, check on their requirements before ordering. Gutters form part of the roof frame and separate downpipes are included. Maintenance free all steel construction.